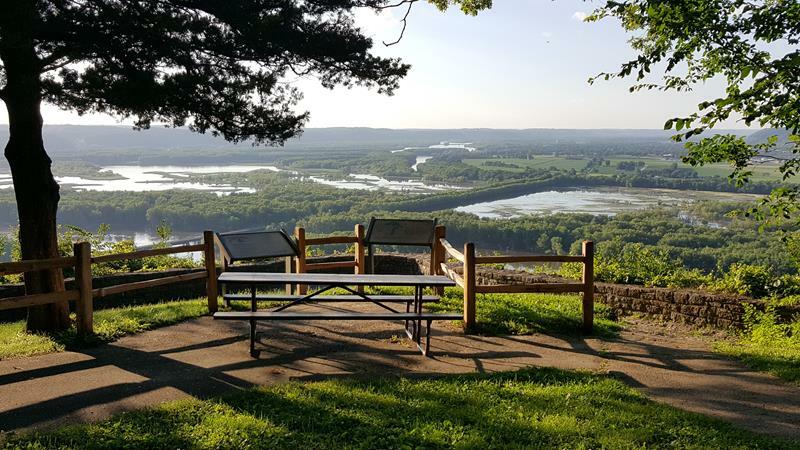 The park offers expansive views from nearly 600 feet above the junction of the Wisconsin and Mississippi Rivers, sometimes to points 20-30 miles distant. 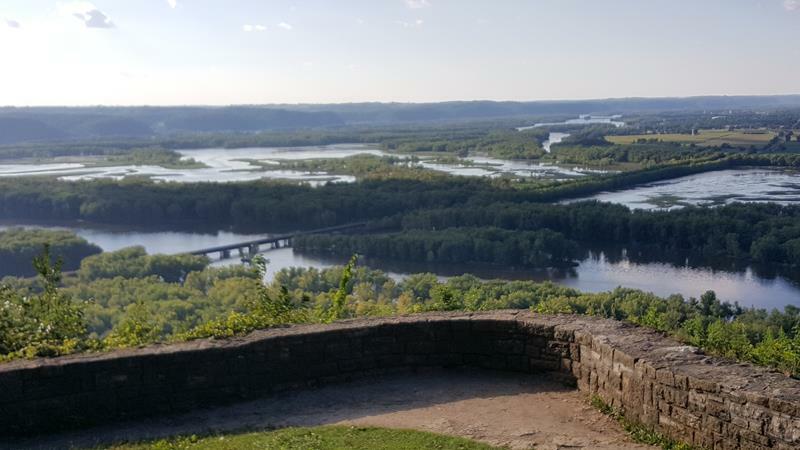 The city of Prairie du Chien, Wisconsin is visible to the north just a few miles away, as is McGregor, Iowa across the Mississippi. Pikes Peak State Park on the Iowa side essentially serves as Wyalusing’s cross-state counterpart, and yes it was named after the same guy who Pike’s Peak in Colorado is named after: a guy named Zebulon Pike, an early explorer who clearly knew how to leave his name on things. 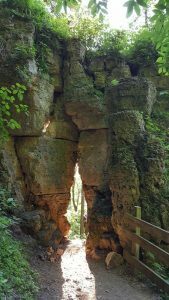 A key piece of Wisconsin history lies in the fact that Father Jacques Marquette and Louis Jolliet were the first Europeans to paddle down the Wisconsin River (via the Fox River and Lake Michigan, no less), past the site of Wyalusing and into the Mississippi River back in 1673… which helped to eventually give rise to the early settlement that became today’s Prairie du Chien. 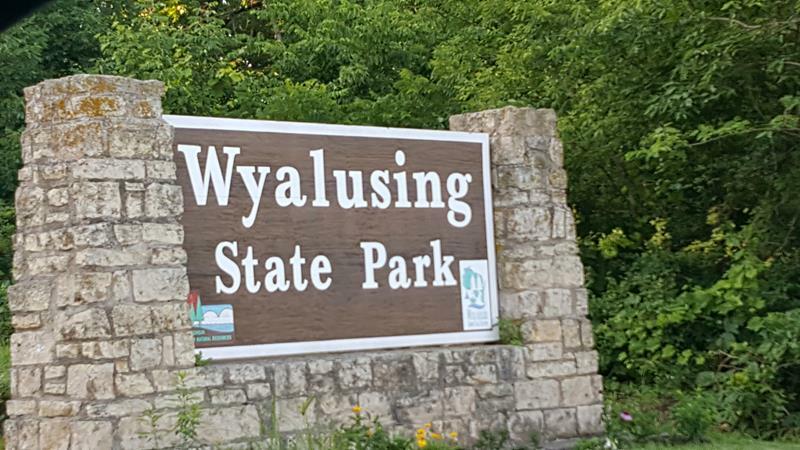 Find out more about Wyalusing State Park from the Wisconsin DNR here.